As we prepare ourselves during Lent to observe the Paschal Mysteries of Christ's Death and Resurrection, we take on various forms of penances to demonstrate our sorrow for sin and so to participate in the saving mysteries we will celebrate at Easter. These penitential practices include fasting and abstinence; intensified prayer, including more frequent attendance at Mass; receiving sacramental absolution in the Rite of Reconciliation; and acts of sacrifice and self-giving. One of the staples of Lenten penitential practices is almsgiving: the sharing of earthly treasure with the poor and the needy. I ask you to consider The National Shrine of St. Francis of Assisi as a beneficiary of your charitable giving this Lent. Because The Shrine is not a parish church, we have no "built-in" base of financial support and we depend entirely upon the generosity of our friends and donations for candles to carry out our ministry as "The Heart of San Francisco." Thanks to your care and concern for this historic church and its Lady Chapel, La Porziuncola Nuova, we are able to continue to offer pilgrims and visitors from all over the world the opportunity to pray in these beautiful edifices and to gain the Pardon of Assisi. We will celebrate a Novena of Masses in the days following Easter for the intentions of all our Lenten benefactors. We would appreciate it so very much if you would include our ministry in your almsgiving this Lent and participate in this Novena of Masses. 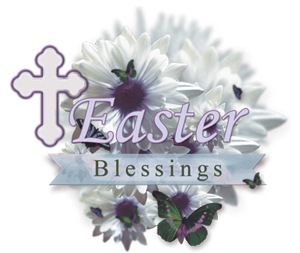 On behalf of the Capuchin Franciscan Friars and the entire Shrine community, I thank you for your generosity and wish you and yours a most blessed Easter.